There’s nothing like real pastrami from a Jewish deli. When you’re in crave mode, nothing else will do. Sure you can get a quick fix on at any deli or by purchasing some at your local grocery, but you’re really just using a band-aid to patch a hole on a damn that’s about to explode. I’ve had a serious case of Pastramitis lately and the only cure was Ben’s Kosher Deli. Of all the old school, authentic delis in NYC, they have the absolute best chicken soup. 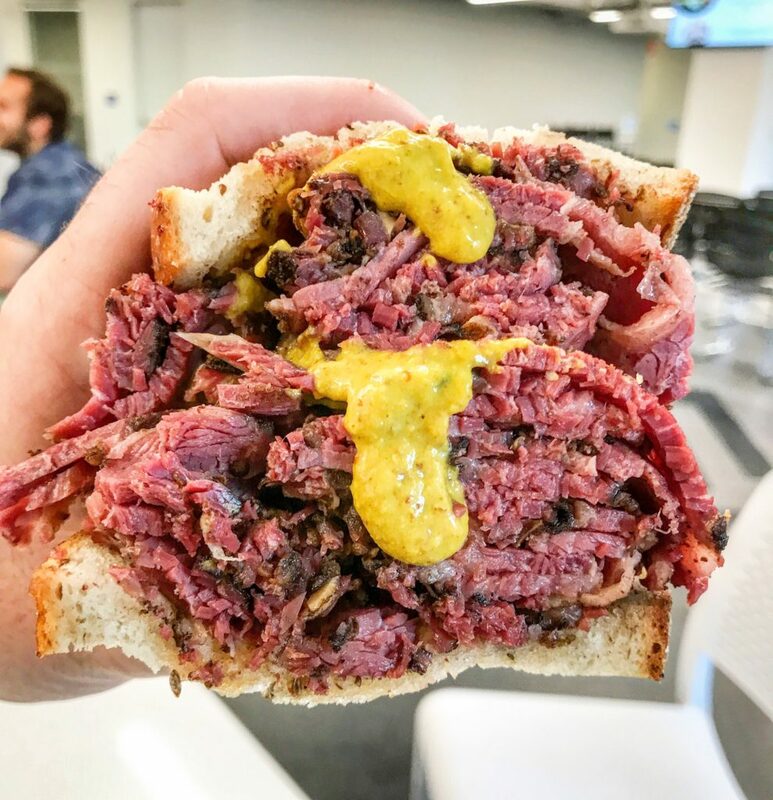 You thought this post was just about pastrami. No, because who eats real pastrami without chicken soup!?! I go matzo ball + kreplach, like a balebos. This entry was posted in New York, Sandwich and tagged bens kosher deli, chicken soup, nyc, pastrami, sandwich. Bookmark the permalink.